Have you ever woken up from sleep only to discover that you cannot move a muscle? With the exception of maybe your eyes and your breathing, you find yourself virtually frozen in bed. For some this situation is then made exponentially worse by hallucinations that manifest in their surroundings, threatening them while they cannot even muster a scream. Such experiences are caused by what's known as sleep paralysis (or SP), a phenomenon that occurs every night in the typical sleeper to prevent him or her from acting out dreams during REM sleep (more on this below). When this paralysis outlasts sleep, as it sometimes can, you get instances like those described above. Waking up to SP can be an extraordinarily frightening situation, as you might know from personal experience or can tell from the personal stories on this page, but rest assured that it is not uncommon and typically not a cause for too much concern. Share your sleep paralysis experience(s) with us and our visitors! Read the sleep paralysis stories of others. While sleep paralysis occurs in the typical sleeper virtually every night, the phrase itself has become synonymous with the experiences that can more precisely be referred to as awareness during sleep paralysis (ASP), or isolated sleep paralysis (iSP) . Sleep paralysis episodes can also more rarely be a sign of the sleep disorder narcolepsy, and in these cases it is no longer referred to as isolated. Narcolepsy itself is another fascinating sleep disorder, involving patients suffering attacks of REM sleep unexpectedly at various times during the day, and you can learn more about it by clicking it's link in this paragraph. Despite being associated sometimes with narcolepsy though, awareness during sleep paralysis happens quite frequently in even the most normal of sleepers. In fact, it is said that over 50% of people will experience at least one episode of ASP during their lifetime. To emphasize this commonality, if you experience left-over sleep paralysis when coming out of sleep it is typically not a cause for concern, even if it is extremely frightening. To understand why this is, lets take a look at the mechanisms that cause this phenomenon. Knowing the simple science behind ASP can really empower you to a much calmer state of mind during your next episode. What causes sleep paralysis? To answer this question it's necessary for you to know a bit about REM (Rapid Eye Movement) sleep, the stage of sleep where most of your dreams occur. Every night during REM sleep the body shuts down virtually all muscle activity to prevent you from acting out those dreams. Your brain is extraordinarily active as you dream, as you might be able to imagine if you think about the complex environments and actions it is conjuring. The only thing that prevents your body from moving to carry out the scene your brain is living is a mechanism that kicks in to paralyze it. 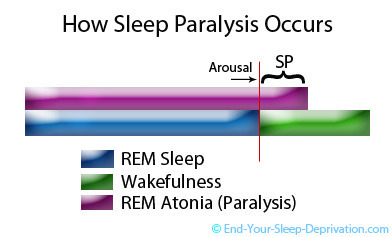 This mechanism is referred to as REM atonia, or REM sleep paralysis. Very rarely, this mechanism can malfunction in some people with a condition that's quite the opposite of ASP known as REM sleep behavior disorder (or RBD). People with RBD often thrash around (or even walk and sometimes even drive!) in a manner that corresponds with what's happening in their dream world. In other words, they act out their dreams, because the paralysis that should be there during the dream is not. You can learn more about RBD and some of the complexities in life it brings up here. On the other end of the spectrum, occasionally this REM atonia can work too well, in a sense, and trickle over into the waking state for a short period. This is exactly what is believed to happen in instances of awareness during sleep paralysis, and you can see a visual representation of this explanation in the image to the left. It is not uncommon to be temporarily paralyzed upon waking up from a dream if the brain is slower than normal to let the muscles be reactivated. If this is the case, and lingering SP does not occur with extreme regularity, then it is completely harmless. Some peoples' bodies occasionally just take a bit longer to disarm their atonia. However, experiencing sleep paralysis at the start of sleep (sleep onset REM) can also be a sign of narcolepsy, if it occurs on a frequent basis. If you think this may describe you, read more about the other signs of narcolepsy and consider consulting a doctor or sleep specialist about it. In addition and more commonly, cases of isolated sleep paralysis (SP without the narcolepsy) can occur with enough regularity to really disrupt the sleep and state of mind of individuals. If this is the case for you and you are experiencing iSP quite frequently, you definitely want to look into the treatment insights we offer below. Before we get into those though, let's spend some time first delving into the hallucinations that sometimes occur alongside SP and make it truly one of the most bizarre and intriguing states of our existence. The creation of terrifying combinations of the dream world and the waking world. Have you ever heard the phrase Old Hag Syndrome? Interestingly enough, the hallucination of an old hag sitting on one's chest has been common enough for this phrase to spring up as a synonomous alternative to sleep paralysis. Due to various recurrent themes in the hallucinations, other cultures throughout history have also referred to SP by all sorts of different names, such as the "Kanashibari" (retaliating spirit) in Japan, "Phi um" (enveloping ghost) in Thailand, or the "Hauka'I po" (night marchers) in Hawaii. It is estimated that somewhere around 1 in 5 isolated sleep paralysis experiences are accompanied by dream-like hallucinations, almost always manifesting in negative or frightening forms, projected on the hallucinater's actual physical surroundings. Witches, demons, thieves, and rapists occupy the room with the paralyzed individuals, sometimes speaking to them, threatening them, or even touching them in extraordinarily life-like manners. One can perhaps imagine very few things more terrifying than being completely unable to move, talk, or even scream while an intruder--whether human, demon, witch, or some other nefarious menace--roams about your room while you're awake. As long-time dream researcher Ryan Hurd remarks in his book about conquering sleep paralysis, "Terror is not too strong a word to use here, because it seems as if nothing can be done." It sounds crazy perhaps if you've never experienced it before, but even taking a brief look at some of the visitor-submitted sleep paralysis stories we've received on this site below will quickly contextualize things and give you a sense of how prevalent this actually is. The following stories are personal accounts submitted by other visitors to this page using the form at the bottom of this page. If you have a story of your own, you can share it with us there as well. The well-known 18th century painting "The Nightmare" by Henri Fuseli depicts what very likely is a sleep paralysis hallucination (or maybe a night terror). 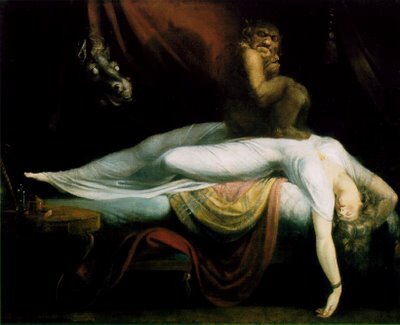 An incubus, or male demon, sits on the paralyzed woman's chest, applying the pressure that is so often felt there during sleep paralysis episodes. It's amazing what kind of projections the brain can conjur, and these hallucinations have given SP a bit of infamy in various literatures and art throughout history, as well as given rise to all sorts of myths and superstitions about what sleep paralysis actually is. Some cultures have ascribed it as an act of the Devil, other individuals think aliens are involved, etc. But the fact is, these visions are by far one of the most misunderstood aspects of sleep-related things. Some people are fast to ascribe supernatural explanations to things they can't yet explain well otherwise. But let's take a brief look at what science has to say. Beyond some logical connections we can make between SP and the dream world, the precise nature of SP apparitions remains one of the biggest mysteries in dream research. The visions experienced during sleep paralysis are known as hypnagogic hallucinations (HH), or more precisely, if they occur upon awakening, hypnopompic hallucinations. After reading the causes of sleep paralysis section above, we can understand how closely tied SP is to REM sleep. We also understand that REM sleep is the time of the night where our most vivid dreams occur. In episodes of ASP, our wakefulness intrudes on REM sleep in a way that doesn't fully extinguish the REM (hence the paralyzation). Our eyes are often open but we are still immersed in ways in the dream state. The fact that we can perceive our surroundings enables us to project parts of a dream outward onto the actual physical space around us. Additionally, the part of the brain that is most responsible for the intense emotions we feel, the amygdala, is already heightened from our dream state during sleep, possibly contributing to the ease at which our fears and terrors are projected during these hypnagogic hallucinations. These connections between the dream world and our waking state during ASP make a ton of sense intuitively, but of course there's a lot more room for further verifiable explanation as to the exactness of how sleep paralysis hallucinations occur. If you're interested in learning about further explanations, Ryan Hurd, definitely the closest thing to a sleep paralysis expert I've ever come across, brings together a host of psychological and dream studies theories in the second section of his book Sleep Paralysis: A Dreamer's Guide (follow the link to my review). The book is also centered around treating and taking control of your sleep paralysis, which is what we'll turn to next. The most breakthrough research and insights into controlling your sleep paralysis episodes compiled in one place. If you suffer from sleep paralysis consistently, you really must read this book. Sleep paralysis can feel like the most helpless thing in the world. You suddenly can't move, if you're frightened you can't scream or call for help, strange sensations (pressure, vibrations, etc.) may overcome your body, and if your episode is one of the 1 in 5 that comes with a dream hallucination you could have a nightmarish figure posing a terrifying threat to you. Up until recently there really wasn't much grounded advice on how to do anything else besides cope with the experiences. But dream researcher and educator Ryan Hurd has recently changed all that. His downloadable book, pictured at right, offers 102 pages of groundbreaking insight into how you can take control of your sleep paralysis, with insights and advice based in Ryan's own extensive experience with iSP (he's been battling it for 20 years, since he was a teenager) and an extraordinary collection of research and citations. You can learn more about the book from my review of it here, or go straight ahead to get the book directly from Ryan's online storefront. Have you ever woken up to sleep paralysis before? Did it feel like something or someone was holding you down? Or maybe you experienced a bit of dream imagery while you were paralyzed? In any case, sleep paralysis can be quite the experience, and we'd like to hear about it. Share your story with us and our visitors below--your insight could aid others who can relate to what you have experienced. Click on the links below to read stories of others that have experienced sleep paralysis. They were all written by other visitors to this page, just like you. I Just Got Sleep Paralysis Today!! Wake Me Up! Wake Me Up! Wake Me The F*ck Up! Lifted Off The Bed And Paralysed! My First SP - Why Does It Feel So Real? Lucid Dream, Sleep Paralysis Or Out Of Body Experience...OR ALL THREE AT ONCE??? I Am On The Inside Looking Out!! It's An Intense, Helpless Feeling. Just Remember It WILL Pass. I Don't Know Why I Can't Move! Being Pulled Out Of Bed And Touched... I'm Going Crazy! Constantly Stuck In Sleep Paralysis!! Can't Move Upon Going To Sleep...Help! Suffered All My Life, But "Death" and a Female Demon Spirit Don't Bother Me Anymore! Why am I being paralyzed and electrocuted while I'm sleeping? What Is That Mysterious Buzzing Noise? Car Accidents. Zombie Dreams. Don't Get Up Just Yet. Couldn't Move, Heard A Drilling Noise, And Saw A "Ghost"
I Told My Family Doctor After Experiencing This For Over 20 Years... Her First Question Was, "Do you have a family history of mental illness?" Bed Sheets Slowly Pulled Off! Positive Stories About Sleep Paralysis?? Trying To Move But CAN'T!! Unseen Demonic Force Attacked Me! Anyone else hear the buzzing? Wind-Like Paralysis - What Happened To Me!? I had no idea what sleep paralysis was! SP Happens To Me All The Time... Using Prayer To Overcome The Fear! Thought I Was Alone In This! Frozen and SCARED to Sleep!! I Try To SCREAM But Can't! Interesting - What Causes Sleep Paralysis? What Do You Hear During Sleep Paralysis? Sleep Paralysis: ALL OF MY LIFE!!! Is Sleep Paralysis Linked To Sleep Apnoea? 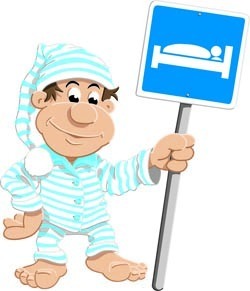 For in-depth reviews and comparisons of mattresses, visit GetBestMattress.com.